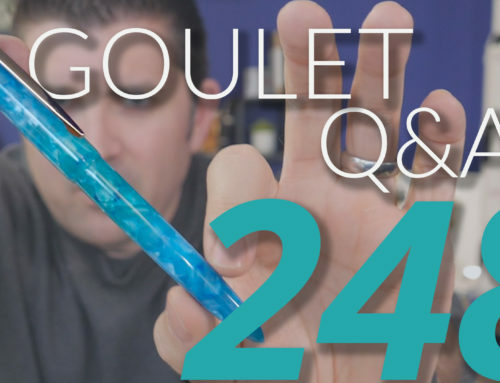 Goulet Q&A Episode 226: Pilot’s 100th Anniversary Pens, Pens Improving Handwriting, and If Brian Had To Start Over! 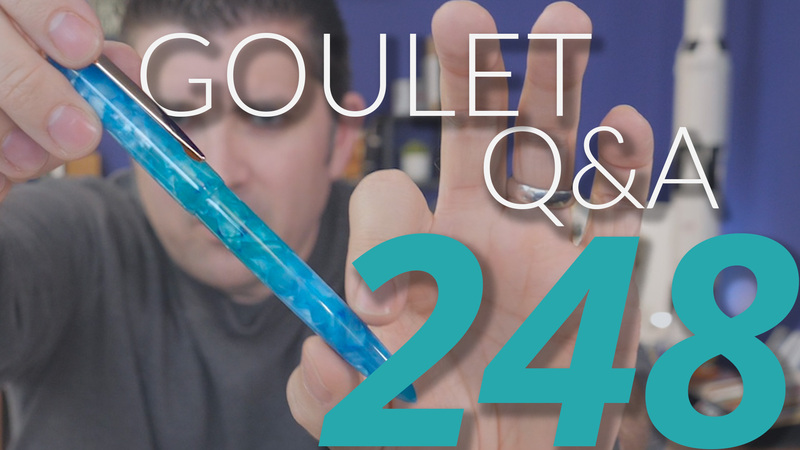 In this Goulet Q&A episode, Brian talks about Pilot’s 100th anniversary pens, why fountain pens improve your handwriting, and what if he had to start all over! 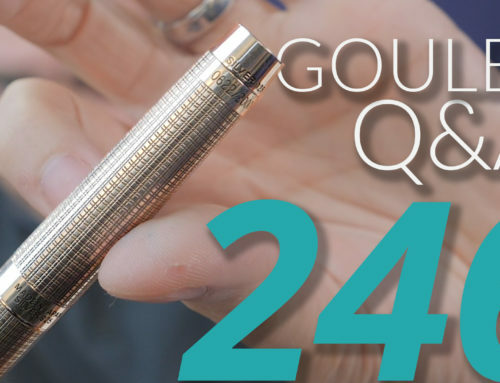 no Q&A next week, but we do have video content planned! If I’m using a dry ink with a medium nib, could I improve the flow by changing to a fine nib? 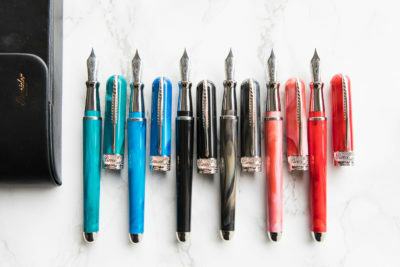 Why is it that when i use fountain pens i have great handwriting but when i use ballpoints it is unpleasant to look at? 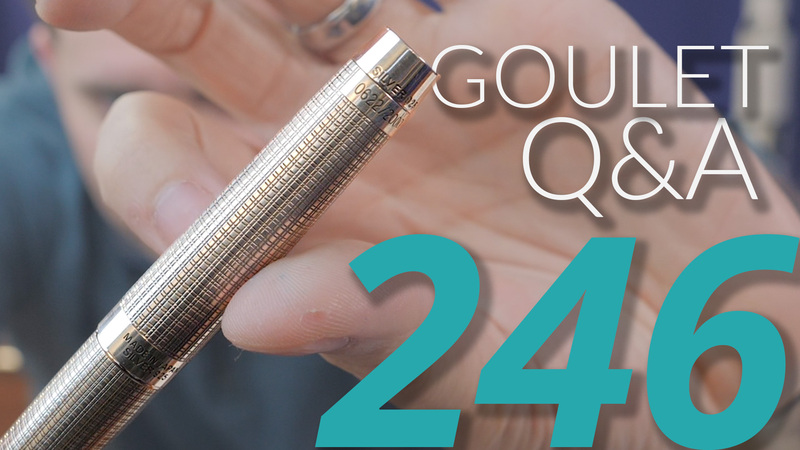 What’s the most common reason that a fountain pen will leak? 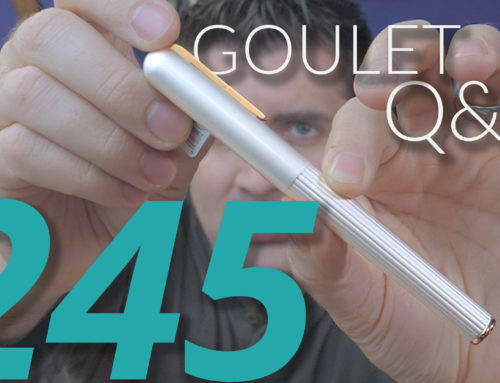 Challenge for Brian: you have lost all of your fountain pen stuff, what do you buy with 500 dollars. You don’t get free samples for ink. You can keep all your knowledge. 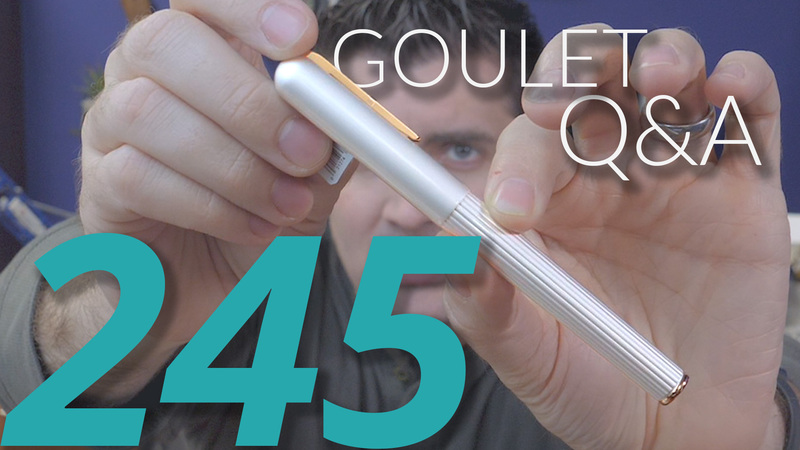 Has Brian ever named, or considered naming, one of his pens? I don’t have any named like people or pets, sorry! If you had to start all over again, what would you do differently as a pure online retailer? The simple answer is I couldn’t really have done much differently bc I did my best with what I knew! 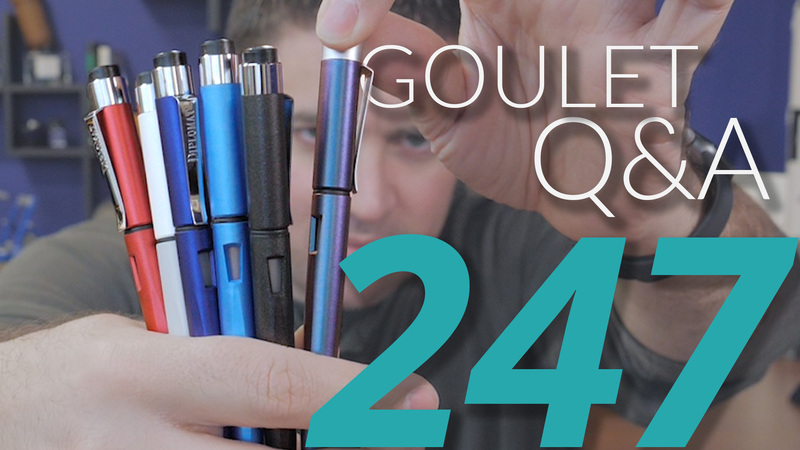 Goulet Q&A Episode 249: Pen Enthusiast Demographics, Most Popular Pen Color, and Which Pen Brian Would Revive From History!